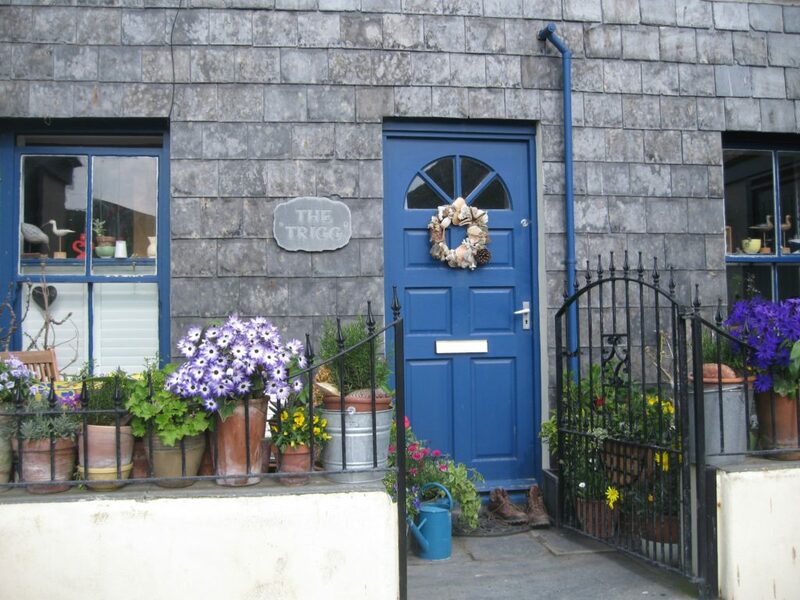 We love the British tv series Doc Martin. 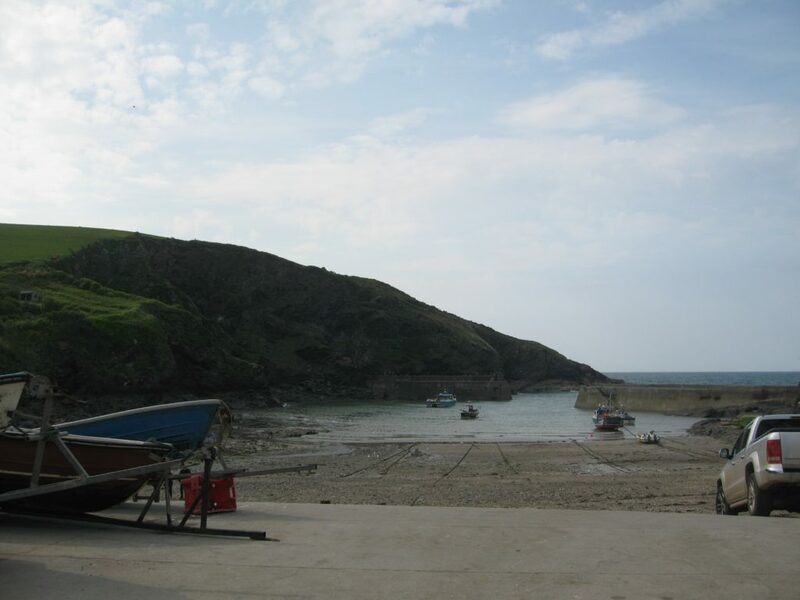 It reminds us so much of our visits to the southwest coast of England. 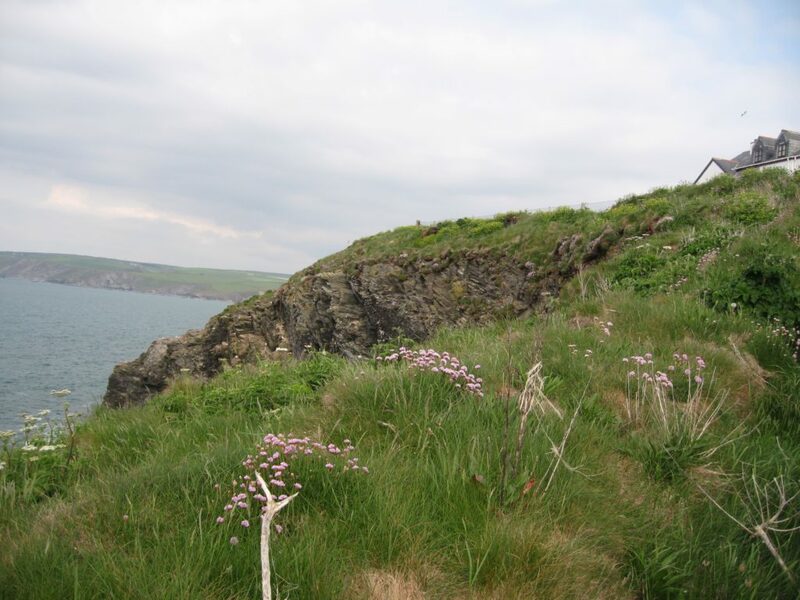 This trip, we decided to visit the series’ filming location in person, on the north coast of Cornwall near Tintagel (the legendary location of King Arthur’s Court). It was a chilly, gray late spring day. Typical for England. 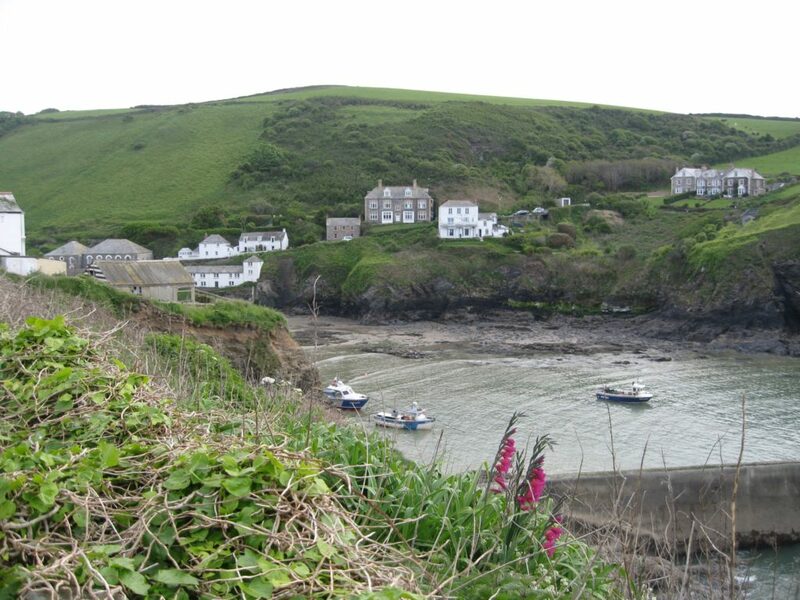 And the village of Port Isaac (aka Port Wenn) was empty before the big bank holiday weekend coming up. 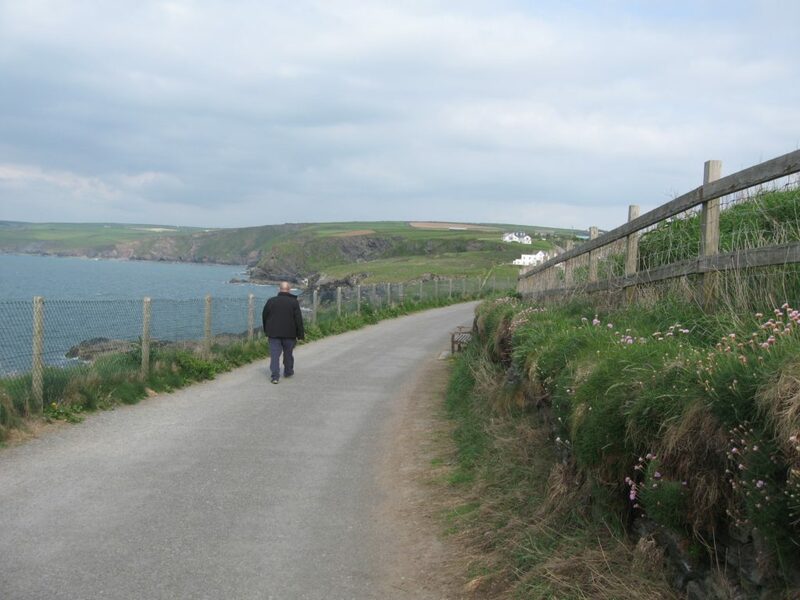 We parked in the lot on the outskirts of town and headed down the hill to the town, hugging the coastline. As we turned the curve, things looked awfully familiar. 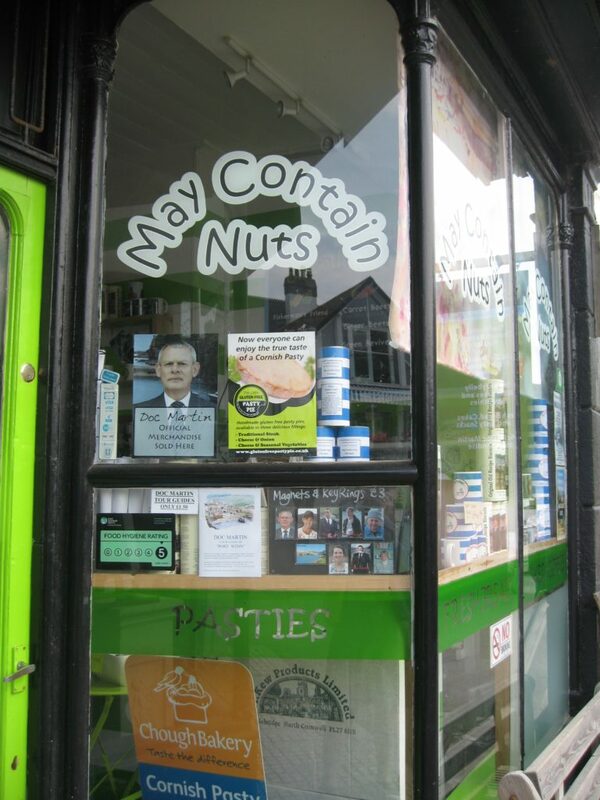 The first thing we could pick out was Doc Martin’s surgery, and Burt’s “Large Restaurant”, although of course both were not really what they are on the British comedy series. Mike thought it looked very quiet and not like the show at all. 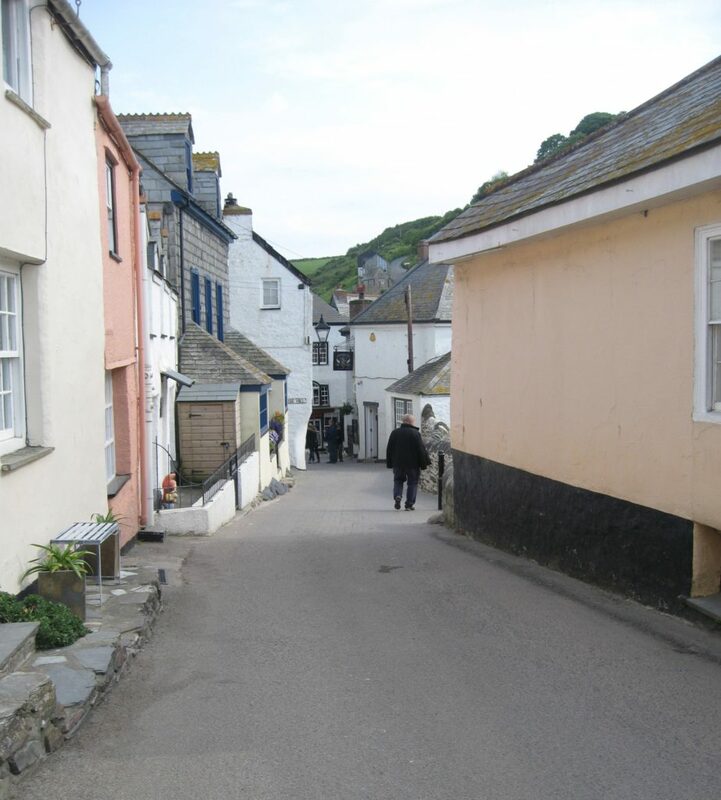 The streets and shops were almost empty, the cast and crew nowhere to be seen on the quiet streets. 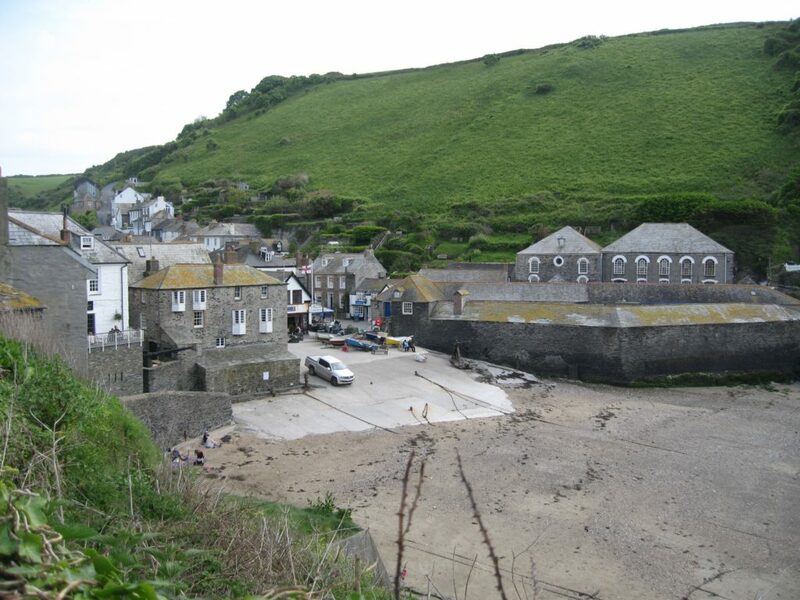 I saw exactly what I expected, a typical Cornish fishing village that sometimes served as a movie set for a famous popular TV show. We headed back up the hill to our car for the hour drive to visit my beloved Brit’s cousins in St. Austell on the south coast. Copyright 2011 accentBritain LLC. All rights reserved. All original photos, text and art is copyright protected.